Those that know me well enough know that I am a big fan of Southwest Airlines. Southwest’s Founder, Herb Kelleher, recently passed away, leaving a tremendous legacy and has forever paved the way for the future of air travel. One of the many traits that Mr. Kelleher had was to always put people first, and keep things simple. When asked about Southwest’s strategy for success, Herb Kelleher said perfectly, “We have a strategic plan-it’s called doing things.” If there is a quote that we can focus the PRA efforts, it would be this one. Over the last several months, the PRA been very strategic in doing lots of things. It has held its standard face-to-face meetings; which has grown to solid turnouts of over 40 people monthly. One additional meeting that we added routinely is Elmer Night. The purpose of Elmer Night is to give potential or new amateur radio operators a setting where they feel welcomed and supported. Also, we have an environment where any and all questions are welcomed and answered. Elmer Night has also exploded in popularity with a record turn out in March with 42 potential, new and veteran hams learning about D-Star, DMR, Fusion, and HF Digital. Going into the balance of the year, the PRA will fulfill its Mission by participating in community events including Scouts Events, Pedaling-4-Parkinson’s, ARRL Field Day, and many more! If monthly meetings are not of interest to you, that is OK, too; our community events incorporate the service and hobby we enjoy by putting people first. From day one, I believe that the PRA has gotten it right with the philosophy of putting people first. No matter what area of interest you have in amateur radio, we have created a welcoming environment for all amateur radio enthusiasts that allows for the freedom to be themselves and offer their talents and knowledge to fellow operators and the community as a whole. Since the New Year, the PRA has held five (5) events; two monthly meetings, two Elmering Nights, and a Repeater Tower raising event. In March alone, we have three events scheduled; our monthly meeting and Elmering Night scheduled, as well as our participation in Ham Radio Outlet Denver Day. 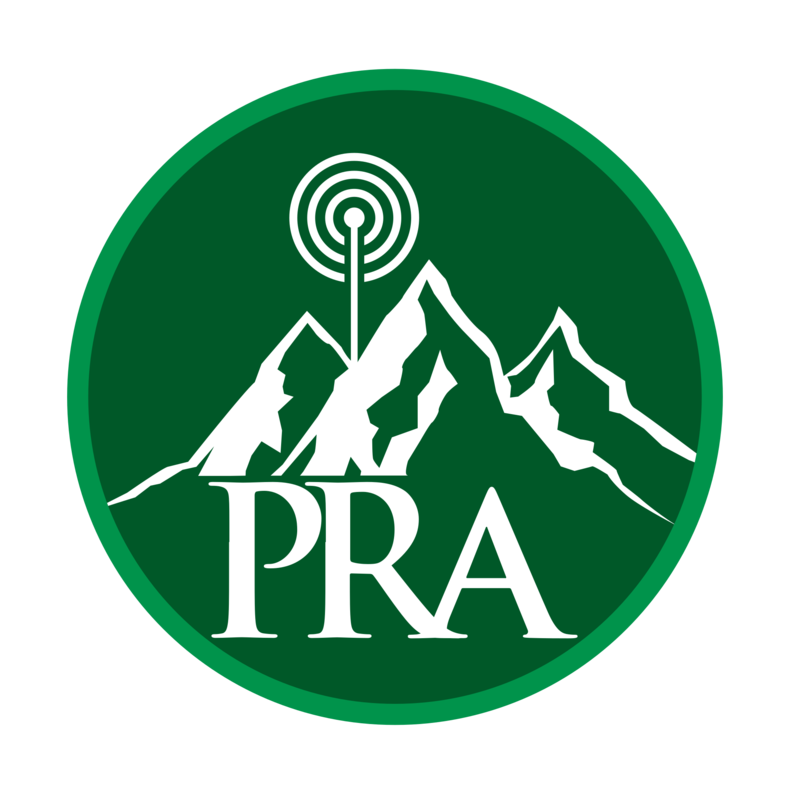 The HRO Denver Day gives our organization a unique opportunity to not only promote the Parker Radio Association, but those that volunteer are truly Ambassadors to Amateur Radio as a whole. This also does not take into consideration the one-on-one help sessions that our members do for other radio operators ‘under the radar.’ It is obvious, our organization is anything but the next “typical” amateur radio organization. In the last few years, it did not take me long to fully appreciate how much I would depend on those around me in order for the PRA to be successful. The PRA, like any successful organization or team sport, takes planning, strategy, listening, and responding. When you walk into your next PRA meeting, take a look at all the activity that goes into just one monthly meeting. Our members and leadership do that about 15+ times per month, with our meetings and on-the-air nets. The only way we have been this successful is that we operate with a keen sense of what Amateur Radio is all about, communication. As good radio operators, we know that we MUST be a good listener because it is a matter of respect, whether on-the-air, at a meeting, or at a public event showcasing Amateur Radio. The bottom line, it is about following the Golden Rule. If you are new to the PRA, we welcome you. Know that the PRA is here to meet you where you are in your amateur radio journey. 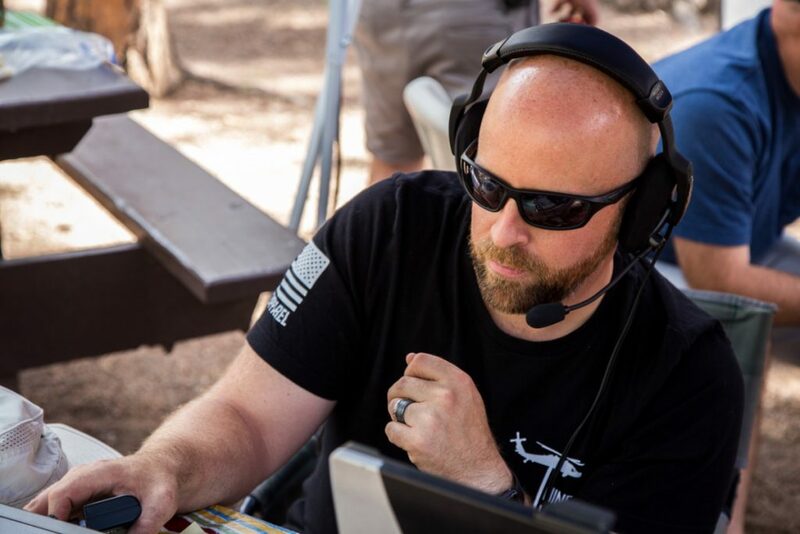 Whether that journey involves licensing upgrades, needing a radio programmed, learning morse code, or understanding digital radio networks, the PRA does not fit into one box or a limited focus. We are not about extremes or limiting ourselves to one or two facets of Amateur Radio. We are an organization that is simply passionate about Amateur Radio. 8.5%. That percentage marks how far into 2019 we are. When I think about it as a number, it does not seem like much, but it all depends on your perspective. If I had 8.5% more DX contacts, I would have my illusive DXCC Award (100 country confirmation)…if I studied 8.5% more, I’d work the rust off my CW copying skills…if I saved for another 8.5%, I could have bought a nicer radio; my point in all of this is to not call out the ‘what-if’s,’ but to call out how close we really are in better ourselves and bettering our hobby. I have been licensed since 1992 and I have had a very blessed life in this hobby. From the countless Elmers that allowed a naturally curious, awkward teenager to ask countless questions helped form me into the operator I am today. It is these encounters that made an impact on me and anytime I have an opportunity to visit with the next generation of ham radio operators, no matter the age, I jump at the chance. Many new hams often ask me for advice on radio selections, programming tips, methods of studying for a test, and antenna selections, to name a few. What’s important to a lot of new hams is that they feel they are being treated with respect (while mutually giving it), feel welcomed, and having fun with the hobby that we have grown to respect and cherish. At the Parker Radio Association, our focus remains the same from day one; Have Fun, Play Radio, and Keep the Squelch Loose. We also understand that as an organization, it is important to connect people and resources to further enhance individual enjoyment of the hobby, so as to enhance the greater common good of the membership base. Events such as our monthly Elmering Night sparked a great number of ideas, suggestions, and ways that the PRA can continue to better welcome new amateur radio operators, and also spread the kindness and service commitment we have to the community. Through our hobby, we can share our resources, talents, and time to spread this kindness to complete strangers, usually unnoticed and under the radar. Our membership base ranges from new amateur radio operators to those that are seventy years in the hobby. What amazes me is that no matter how long we have been licensed, we can all learn from one another. Much like the 8.5% mentioned above, it all depends on your perspective and your attitude in the hobby. Changing our perspectives towards the common good of our hobby not only promotes the amateur radio service, but promotes learning and development for the amateur radio population. I cannot help but think that if we all took time out of our lives to spread a bit of amateur radio kindness (net control operator, Volunteer Examiner, Elmer Support, giving a presentation, helping program a radio, joining a committee, etc.) we would all be much happier in the next 8.5% of this year. With that in mind, the future would be even better than the past! Happy New Year! Any new year brings a level of optimism, hope, and a new set of goals for the coming year. Some of these elements are family related, professionally driven, or in my case, wanting to drop a few pounds and improve my eating and exercising habits. Sounds like a SOTA activation may be in my future! Maybe you have some ham radio resolutions like learning CW or a new mode, upgrading your license class, or building a new antenna or two. Whatever your goals are for 2019, I hope you reach them with a vigorous enthusiasm and genuinely happy spirit. “Twelve exceptional hams, Jay-K0LJW, Don-W0EAY, Scott-WQ8M, Jerry-KD0BIK, Terry-WB3EVZ, Thomas-K0VKM, Bill-W0SUN, Wayne-N0POH (Colorado ARRL Affiliated Club Coordinator, not pictured), Jack-WM0G (Colorado ARRL Section Manager), John-N4SJW, Paul AC5S, and Dan – N2SRK (camera op), met to discuss how the club was formed, preliminary strategies and goals, and methods of developing membership at all levels of the hobby. The enthusiasm in the meeting was contagious and the excitement of pursuing the next steps brought smiles and healthy email exchanges over the last 24 hours. A healthy discussion of repeater opportunities and building, a VE team, membership levels, Field Day, SOTA excursions, and a group Dayton trip were just a few of the topics reviewed. We have a few administrative tasks to push over the goal line regarding incorporating and other status establishment, as well as finalizing our club call and ARRL affiliation approval (all in process). One resounding theme about the future of the Parker Radio Association came out of that meeting still holds true today – “Have Fun, Play Radio, and Keep the Squelch Loose.” We also have adopted a focus to be an amateur radio organization that meets you where you are in your ham radio journey. From this group of 12, we have grown to almost 90 members. We believe we have done a few things right in the last five years, but certainly will not discount where we fell short. In the opportunities where we fell short, we always learned something new as a leadership group, as individuals, and as an organization. The PRA remains the organization of the membership, not the elected leaders – this is YOUR organization. As I reflect on the last five years, the PRA has done a lot to serve the community. First and foremost, we have excellent monthly presentations from our membership. The variety of topics have been amazing and even after 25+ years in the hobby, I always learn something new from these presentations. Second, we have given back to the community from supporting the Scouts, providing communication to charity events, giving presentations on amateur radio to emergency groups, and pulling off successful Field Day activities. Third, we have added a solid repeater infrastructure from analog, D-Star, and DMR, with transcoding to Fusion/DMR reflectors and rooms. Fourth, we have an excellent online presence from our website, Facebook, Twitter feeds, and regular email updates. The time, talent, resources, efforts and support from the membership is what makes the PRA successful. No matter what your contribution has been, no effort has been too small, and we appreciate what you bring to the hobby and the PRA. I am always interested in hearing from our membership on what we are doing right, or what changes we need to make. Feel free to drop me an email, anytime. May your New Year be filled with accomplishments, success and learning something new this year about yourself or your amateur radio hobby. Again, I hope you reach your goals with a vigorous enthusiasm and genuinely happy spirit.